Several thousand acres of the area in which I live were originally owned by large lumber companies... so... as you might imagine ... lots of trees. 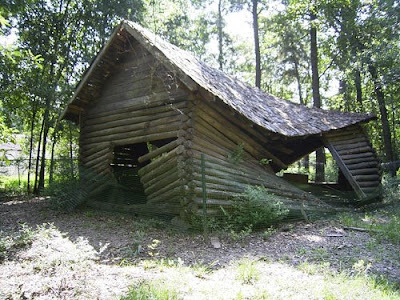 This falling down log cabin was originally a hunting cabin for one of the landowners. 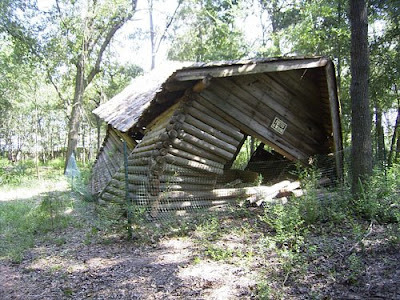 The current owners allowed the cabin to fall down before giving it away. 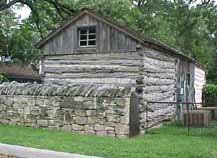 It has been dismantled and logs were numbered to be reassembled at a different site. 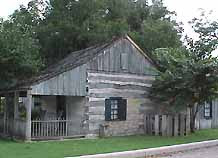 Plans for rebuilding/restoration have not come to fruition... yet. I've always liked small homes, but it is amazing to me to walk through some of these tiny spaces and wonder how entire families lived in them. 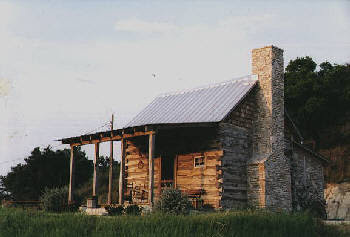 Wouldn't it be fun to have one of these out in the country overlooking a small pond? 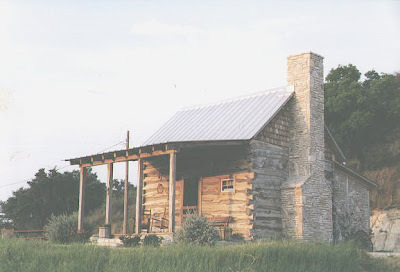 Wonder if I could be a good writer if I had a little cabin like this? Maybe not... but I bet I could sure get all snuggy with my feet held to the fire. 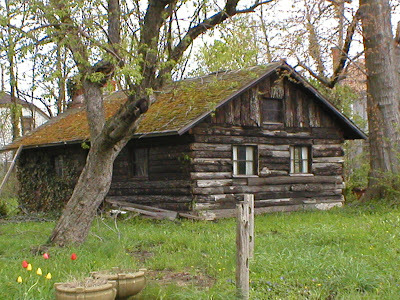 I find old houses/cabins fascinating, too. The size of the homes and the size of the families that were raised in them makes it very clear that people today are living well beyond their means. When so many are losing their homes, I cannot help but wonder what would have happened to them if they had purchased a modest home to begin with.